As you read through the many studies here at LearnEmunah.com and my Facebook it may seem as though there is just too much material to wade through, let alone to understand! People ask, "Do I really need to understand all of this just to worship G-d correctly?" No sophistication is needed in serving God - only simplicity, sincerity and faith. Simplicity is higher than all else. For God is certainly higher than everything else, and God is ultimately simple! My studies go way beyond what is required. I hope they are interesting to you, that they challenge you to explore not only other ideas, but your own. They are here for study and interest sake and reflect my personal sojourn as much as anything else. I learn by sharing. 1. Love HaShem, the One True G-d, as fully as you can according to your knowledge and emunah (active faith and trust). 2. Love others as fully as you can according to your abilities. Its really that simple. This is the heart of Der Alt Weg Chassidus, the original Way of the BESHT, the Baal Shem Tov and traditional Judaism. The Talmudic sage Hillel was born in Babylonia (now called Iraq) in the first century BCE. He and Rabbi Shammai often expressed contrary opinions on how the Torah should be interpreted and applied. Rabbi Shammai advocated a more legalistic interpretation stressing HaShem's Justice, whereas Rabbi Hillel tended toward a more lenient understanding, stressing HaShem's Mercy. Both were correct in their interpretations. In most cases however Rabbi Hillel's opinions prevailed because Judaism has traditionally stressed the more liberal (mercy based) attitude. Without Divine Mercy there would be no hope. At least since the destruction of the Second Temple in 70 CE (although actually since its beginning) Judaism has encouraged the importance of individual study and practice rather than hierarchical conformity. Historically Judaism has been a path of informed inspiration and personal observance from the heart and intellect. Rabbi Hillel encouraged his disciples to follow the example of Aaron the High Priest: to love and pursue peace, to love all of G-d's creation, and to bring them all closer to the Torah's ideals. This should be the attitude of all religious Jews, including our rabbis. Sadly this is not always the case. First, the prospective convert went to Rabbi Shammai. The rabbi was insulted by this seemingly ridiculous request. Offering the man no help, he threw him out of his house of study. Likewise we often find sincere Gentiles today who approach our rabbis seeking to convert only to be treated poorly and in some cases literally be thrown out simply for seeking HaShem. Such rejections often lead candidates away from the Torah and in some cases to even become the enemies of our people. I could share several examples of this happening. It is in part due to such mistreatment that the majority of converts today enter through the non-Orthodox movements. Such actions are derelictions of the biblical mandate to be a nation of priests to the other people groups (Shemot/Exodus 19:6). "What is hateful to you, do not do to your neighbor. That is the whole Torah; the rest is commentary; go and learn!" This is the heart of Torah. This is what HaShem requires. Conversion is a one time action but the practice of Judaism is lives long journey. For those who continue learning, Torah is the Way of Peace and Joy. For Jews Torah prescribes 613 Commandments. Through these mitzvot Jews are brought closer to HaShem and His purposes. Under rabbinic guidance non-Jews can embrace the Seven Laws Covenant. By observing these Gentiles find harmony with HaShem and are accepted. For most non-Jews conversion to Judaism is not needed nor recommended, but without Jewish leaders who are willing and prepared to offer direction how will these children of G-d understand their place within the Torah? These people are coming in large numbers but all too often our leaders are not welcoming them (Zechariah 8:23). Micah 6:6 With what can I come before HaShem to bow down before G-d on high? Should I come before Him with burnt offerings? with calves in their first year? 7 Would HaShem take delight in thousands of rams with ten thousand rivers of olive oil? Could I give my firstborn to pay for my crimes, the fruit of my body for the sins of my soul? 8 Human being, you have already been told what is good, what HaShem demands of you - no more than to act justly, to love grace and to walk in purity with your G-d. Whether Jew or Noahide, as one grows in his or her relationship with G-d correct knowledge of the Beloved develops and that relationship will be strengthened. 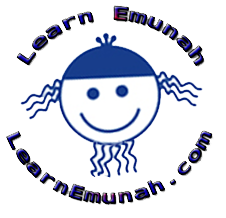 As we grow our emunah increases. This leads to ever more growth and harmony with the Holy One. 6:5 and you are to love HaShem your G-d with all your heart, with all your being and with all your resources. HaShem is the G-d of Abraham, Isaac and Jacob AND the G-d of the Noahides. He alone is the Hope, HaTikvah. Those who are wise will place their hope in Him alone and embrace His Torah. Several of Israel's prophets foretold that one day an anointed king will arise among the Jewish People (for example Isaiah 11). Belief in his coming reign is one of the Thirteen Principles of Judaism advanced by Rambam and accepted by the majority of religious Jews. The coming Messiah will bring our people into harmony with HaShem. He will also bring the Gentiles into harmony with the Jews so that all the world will bask in the Light of HaShem and hence live in Shalom. This SHALOM is the ultimate Hope and Promise the Jewish people will bring to the world (Genesis 12:3). Isaiah 56:7 Even them [i.e. the non-Jews] will I bring to my holy mountain, and make them joyful in my house of prayer: their burnt offerings and their sacrifices shall be accepted upon mine altar; for mine house shall be called an house of prayer for all people. Zechariah 8:23 Thus saith ADONAI-Tzva'ot; In those days it shall come to pass, that ten men shall take hold out of all languages of the nations, even shall take hold of the skirt of him that is a Jew, saying, We will go with you: for we have heard that G-d is with you. This is our Hope. That this day will come soon and during our lives and the lives of our children but if not, it will come one day. This is our conviction, our emunah: No matter how long we have to wait, we will wait. HaMashiach is the Hope of the whole Earth. The establishment of the theocratic Kingdom remains the ultimate hope of the world for all who have eyes to see and ears to hear. The rebirth of Israel in 1948 and the 1967 restoration of Jerusalem to the Jewish people signifies that the Theocratic Kingdom MAY BE at hand if we are wise enough to receive it and to make ourselves worthy through teshuvah. The question is: Why aren't we doing this? The present day nation of Israel could be the sprouting forth of the "Tree" that will eventually put forth the leaves of the Kingdom of G-d when Messiah arrives. This blessed event could happen in one of two essential ways as I discuss HERE -- May it be quickly and soon and say amen! The land of Zion and Jerusalem.